THIS PROJECT DID NOT HAPPEN. 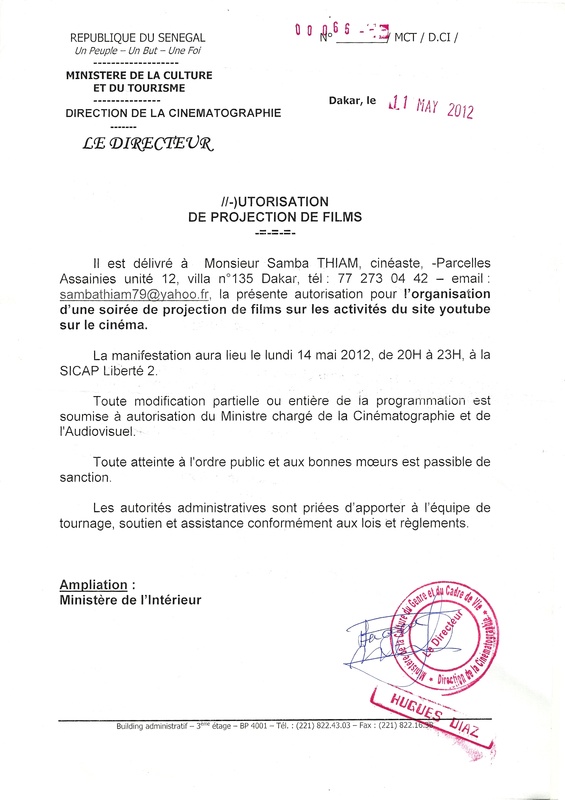 During our trip to Dakar I found out that there were no cinemas anymore in Dakar, the video and later the DVD and Internet replaced the cinemas in town. There were a few empty cinemas occupied by junks and homeless people or the cinemas had given other functions. I went out to find African films in shops and markets, but didn’t find any interesting films. After asking several people on the street I finally found someone who could help me getting some interesting films. The man brought me copies of important films by Ousmane Sembéne, the famous and first black cineaste in West Africa. The poor aesthetics of the DVD-covers made me doubt the quality of the films, but I’m glad that I bought the films, they were unexpectedly good. 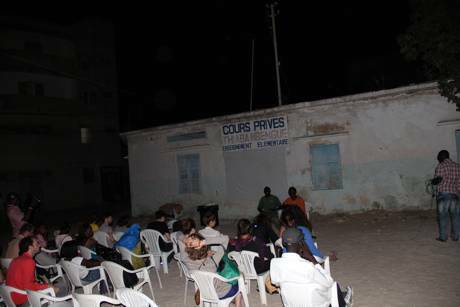 My project was to set up a films screening on the street, by night, and work with the notion of collective experience and the access to cinema and it’s history in Dakar. To add a performative and more inclusive element we searched for a translator who was able to dub the English subtitles in front of the audience into Wolof, the spoken language in Senegal. 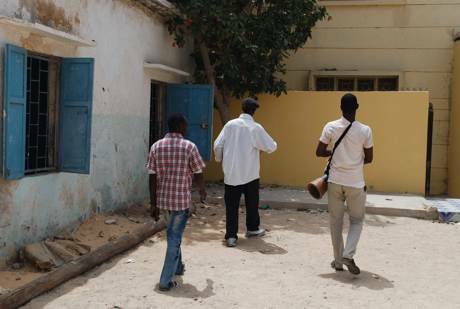 After a few days I met Ousmane a Senegalese guy, who was not only able to dub the film but also helped me organise the practicalities such as permission forms, chairs a generator for electricity and his contacts in the city. Advertising in the neighbourhood with music for the film screening. As if refers to the process of observing and absorbing another culture, yet never being able to look at yourself trough the eyes of “others”. 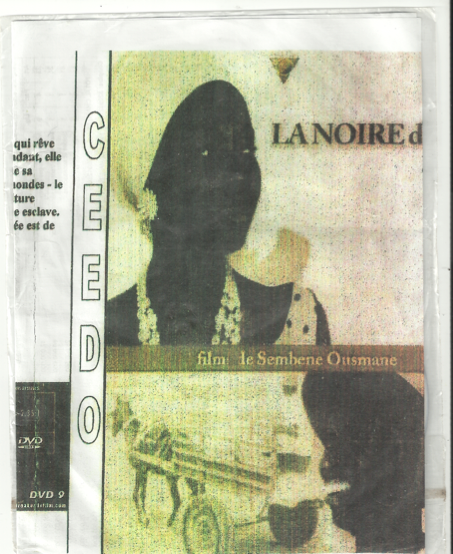 The project culminates with a public film screening in the street where three languages (Wolof, French and English) converge, offering a platform for a collective experience of an historic film: La Noire de… by Ousmane Sembéne from 1966. La Noire de… is a film about the colonial past, filmed in the Nouvelle Vague style. Diouana, a young Senegalese woman, moves from Dakar, Senegal to Antibes, France to work for a rich French couple. In France, Diouana hopes to continue her former nanny job and anticipates a cosmopolitan lifestyle. But from her arrival in Antibes, Diouana experiences harsh treatment from the couple, who force her to work as a full servant. She becomes increasingly aware of her constrained and alienated situation and starts to question her life in France. Eventually she commits suicide in the bathroom.